KUALALUMPUR: Prime Minister Imran Khan on Wednesday unveiled his government’s four-pronged strategy to pull Pakistan out of its “quagmire of loans”. The prime minister, while addressing the Pakistani community in Malaysia where he is currently on a two-day official visit, said that the government was committed to uplift the living standard of poor and downtrodden segments of society by improving governance and ending corruption. The premier said that the PTI-government was working on four areas on priority basis. MALAYSIA: Nov 22 – Prime Minister Imran Khan and Malaysian Premier Dr. Mahathir Mohamad addressing a joint press briefing at PM Office in Putrajaya. The first step towards ridding the country of its chronic loan dependency is to increase exports, said Khan. “If Malaysia, with a population of 30 million people, has exports worth $220 billion, and we, with a population of 201 million people have exports worth $24bn, then clearly we are doing something wrong,” Prime Minister Khan said, adding that his team was working on a “programme to increase exports”. The second step, the premier said, was to create legal channels for overseas Pakistanis to send their remittances through. He said that the finance minister was working on an incentive programme to make routing of remittances easier. “Currently, we receive $20bn in remittances,” the premier said. “We (the government) think that if all the money sent in remittances [is sent via legal channels], then we will receive at least $10-12bn in addition. The prime minister also emphasised the importance of attracting investments, particularly from foreign businesses. “We will continue to face a shortfall of dollars if we do not attract foreign investments,” he warned. 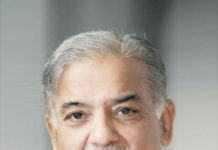 He, however, lauded “the overseas Pakistanis’ craze” to invest in the country and vowed to facilitate them by fixing the governance system in Pakistan. He also promised to create an “ease of doing business” for investors — both foreign and domestic. “There will be a designated office within the PM Office and its sole purpose will be to solve any problems being faced by investors,” he said. He claimed that past authorities had impeded investors by stopping them from earning profits. “Why would anyone invest in [the country] if they don’t earn profit?” he asked. The last of his quartet of measures to drag the country out of the economic mess was ending the practice of money laundering. He said that $10bn was sent abroad through money laundering every year but assured that every agency in Pakistan is now working diligently to make it hard for people to move funds abroad illegally. Imran Khan said that the recent aid packages acquired by his administration through “friendly countries” was just a temporary solution to Pakistan’s economic woes. 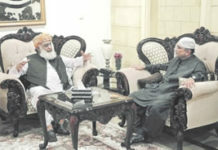 The prime minister also took a jibe at opposition parties, claiming that they were waiting to see the new government fail from the first day.”That is what they are hoping for,” he said. “They are scared because they know that as long as I am in power, they will be in danger. They know that they will have to go to jail in a few days. The prime minister reiterated his aim to follow the model of the state of Madina in order to fix Pakistan’s problems, announcing that his government will announce a poverty alleviation programme by the end of the week.